Geography was always a favorite subject over the years in our homeschool journey . Mapping and studying other countries cultures is an important part of understanding who we are as Americans and our role in the world. Knowledge Quest has some great products- here is one you can try free. Maybe you already know about Expedition Earth, but if you don’t, this is a great time to check it out. 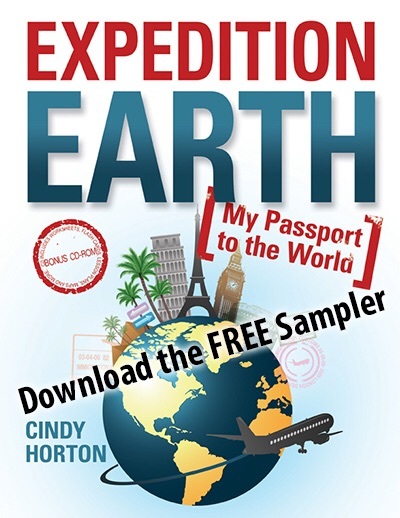 You can try Expedition Earth for FREE by downloading the Expedition Earth Sampler pack. It contains several country pages along with lesson plans. This is a great way to learn about the fascinating corners of our world. Enjoy and let me know what you think..